As you head up the mid-level escalator, just to the right of the bottom, you will see a small street (wet) market. Known as Graham Street Market (but actually comprising parts of Graham, Gage, and Peel Streets), the activities here have been part of Hong Kong Street life for over 150 years (172 years according to a recent article in Hong Kong Magazine). This street market has survived Japanese occupation and previous rounds of urban development, but that is about to change. The market traders are being evicted and building clearance has begun (as evidenced in the photograph). In one fell swoop, the street life that calls forth community, memory, and a way of life will shortly be erased from the landscape. One has to wonder what is the mentality that allows for this sort of urban erasure and consider the depth of what is lost. The market will be sorely missed. It is a small oasis of traditional Hong Kong that is readily accessible to visitors and residents alike. Ranked as one of Hong Kong best markets by CNN in 2011, it has been described as “the most atmospheric market in Hong Kong” and the most English friendly, the market is home to stalls with perhaps the greatest diversity of fruits and vegetables in the city. 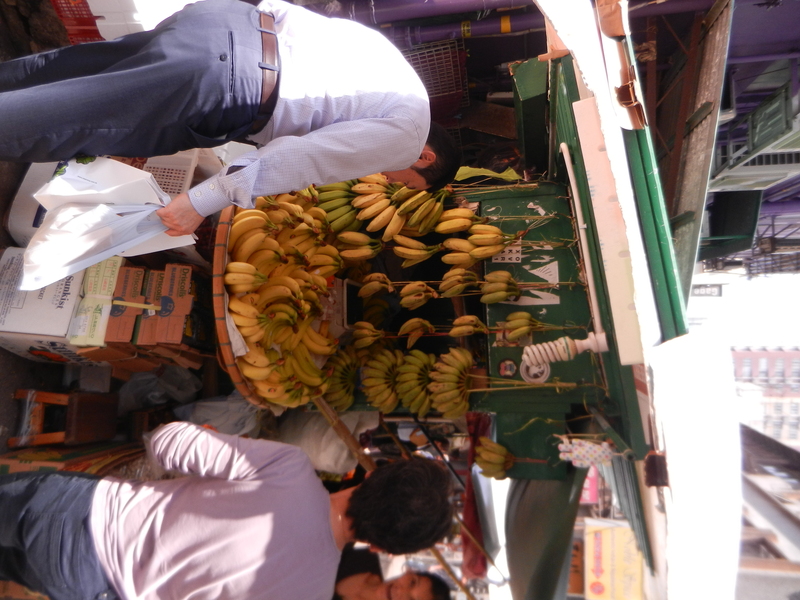 Here, for example, at the banana lady’s stall you can select from at least 4 different varieties banana including those that can be eaten to those that must be cooked. 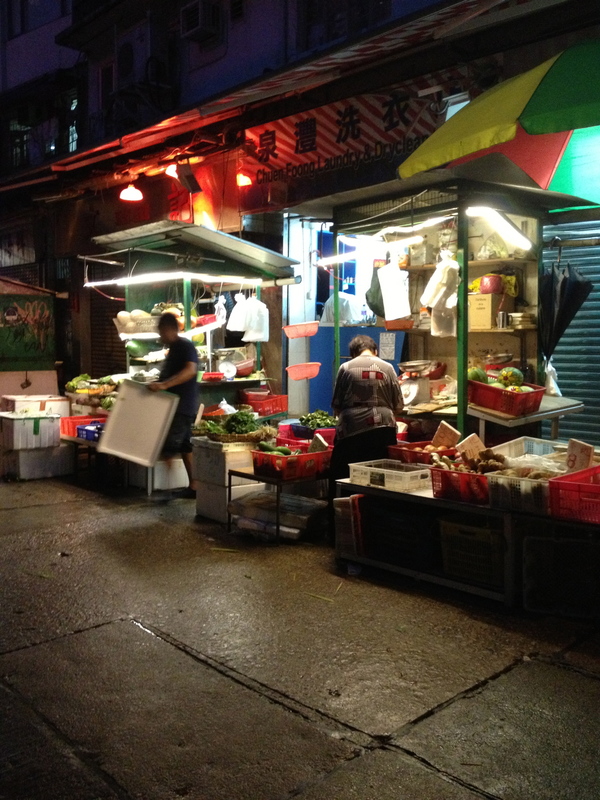 Further along is the fishmonger widely recognized as having the best fish in central. 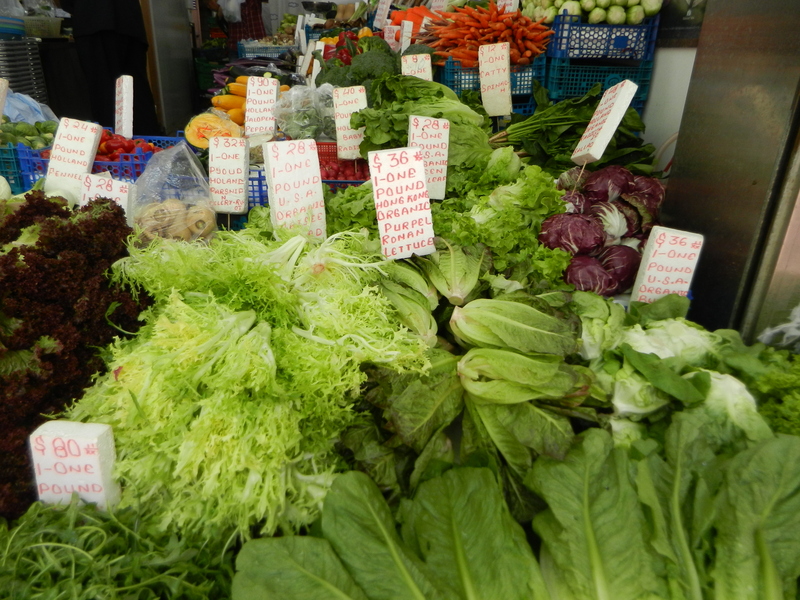 Some of the stall holders sell organic produce. There are traditional tofu makers and noodle stalls offering for sale goods made locally in a small scale and artisanal way. The market is one that is widely used by the many restaurants in adjacent SOHO as well as Chinese and expats of all incomes. The market is also home to an army of cats who are cared for by the traders because they keep the bugs and rodents away. The market is not just a place of heritage and history, it is also a space of modern everyday life in this global city. The activities on this street provide regular employment for more than 100 people; further opportunities for casual (illegal) selling of foodstuff, dry goods, and household items, and is a workplace site for a number of tour guides who regularly include the market as part of the experience they sell. What is more, while the narrative in Hong Kong is that small stall holding is an occupation for the elderly and, as such, in decline, this is not necessarily backed fully by fact. Indeed a number of the market traders in Graham Street Market are younger and given the way that market trading is licensed in Hong Kong (no new licenses for street trading), these younger traders will find as their businesses are closed down that they are being forced to find alternative forms of employment or become illegal. The closure of the traders located in the buildings that will soon be demolished will also have knock-ons for the green tin stallholders who operate just outside these more formal businesses. For now the market is a diverse and lively place, but in the future it will become another anonymous sterile location in the direct service of global capitalism. While many consider the demise of the market alone as an appalling travesty, the procedures being followed are equally appalling as there has been a distinct lack of consultation, poor communication, and withdrawing of promises. Vendors have been evicted and then found eviction orders to be withdrawn. Agreements that had been reached have been reneged upon and forgotten with no explanation. Even when alterative locations (inside a new market building) were to be made available, only 10 stalls prioritising fresh food such as the fish, meat, and vegetable stores were to be included thereby excluding the noodle and tofu sellers and the Dai Pai Dongs that operate in the area. When asked why there is no visible protest going on, as indeed when walking through it looks as though business is progressing as usual, locals say, everyone is upset but they feel the government does not listen. There is so much protest in Hong Kong around so many issues that this is just one more thing that gets ignored. 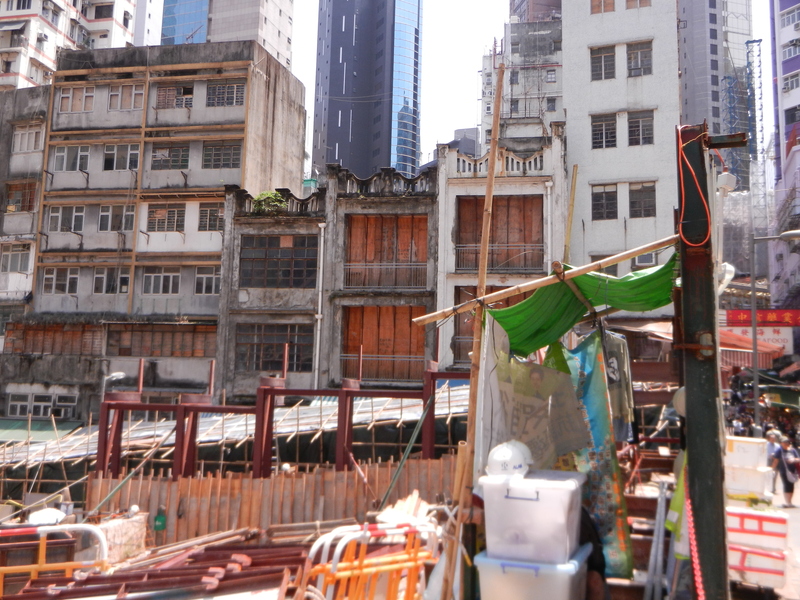 Also, while some politicians are sympathetic to the market and mindful of the longer term loss to the city that its demise will bring, because of the ways that people live their lives very locally, it is not a cause for concern for those ordinary Hong Kongers who do not spend time or live in this part of Hong Kong. Indeed, why should someone who lives in Sham Shui Po in poverty or even the comparatively well off middle-class family who lives beyond Lion Rock and has little need to ever come to central care what happens in a area of Hong Kong largely viewed as a space and playground for wealthy Expatriates? For the protest to gain a critical mass it needs to resonate beyond the scale of the very local and strike a cord with a larger constituency than those who live in work in the area. Market traders use these red lights as they cast a warm glow onto fruits, meats and vegetables and enhance their visible appeal. The market is being replaced with a design that will incorporate some of the older buildings on the street, thereby addressing what the government understands as historic preservation—the retention of buildings but not the life-ways that were contained within those buildings. The activities of the street will be sanitised and oriented away from the current demographic to facilitate the further selling of luxury goods to a largely Chinese tourist (high end luxury stores are now about as ubiquitous in Hong Kong as Starbucks are in most other world cities). And while this apparent strategy of pursuing and accommodating the tourist practices of the mainland Chinese tourist seems to be the priority of the Hong Kong government, no-one is asking what will happen to the city when the economy in China slows, as indeed it is beginning to appear to be doing. Will the city become a space of empty shopping malls where there was once a vibrant and engaged cosmopolitan community? If you are interested or concerned about the issue of the market and would like to know more, see this article by Yannie Chan, which appeared in the HK magazine in October 2013. It illustrates many of the issues highlighted here and offers some ideas for action. My students doing a course I taught at HKU in 2011 that was called Culture, Social Justice, and Urban Space included a number of other HK markets in their analysis and research. You can find their reflections here. This post is also part of the WordPress Weekly Photo Challenge on the theme of street life. You can find the challenge and other entries here. 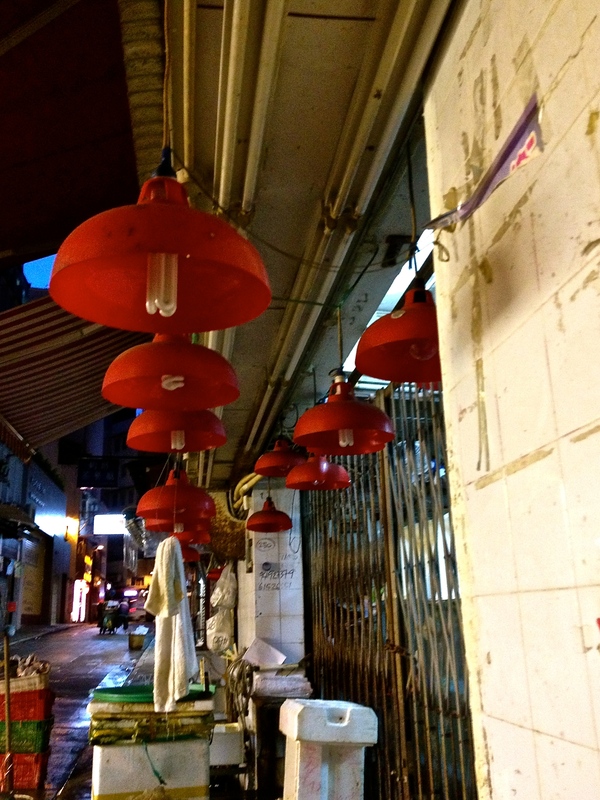 This entry was posted in Food, Hong Kong, Social Positions and tagged Graham Street, Heritage, Heritage conservation, Hong Kong, tradition, Travel, Urban renewal, Urban Renewal Authority, Wet markets by geofoodie. Bookmark the permalink. Nice take on the Monument theme! Unfortunately, a very sad take on a different sort of monument—a way of life. I suppose they think they’re being “progressive.” Unfortunately, much of today’s progress has been on the backs of the “little people,” those who are the bedrock of civilization.